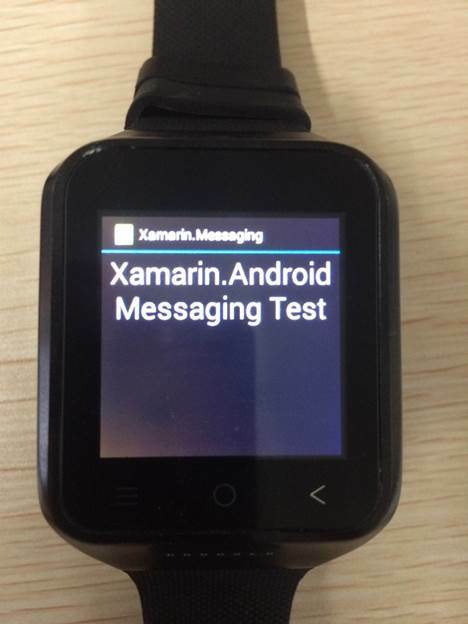 In this article you will learn how to create a simple Survey feature using Xamarin for Android Wearable. Having the opportunity to work with android wearables, particularly smart watches, is very exciting as this is getting more popular nowadays. 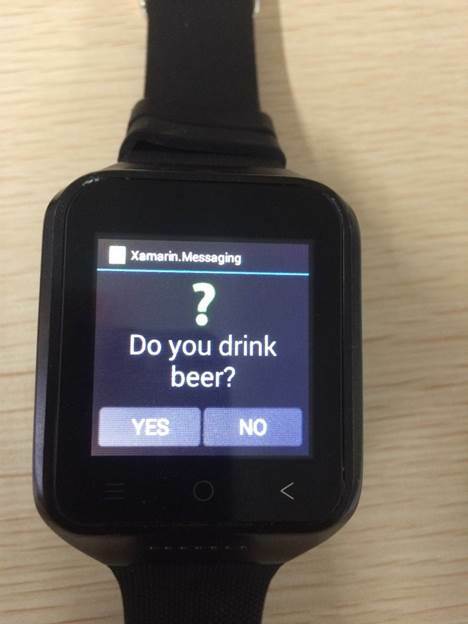 Building mobile and wearable device apps is not as complex as you may think. I admit that at first I was kind of afraid when I was assigned to explore and build apps for mobile and wearable, but using the right tools and technologies makes life easier for me to build those apps and prototypes. 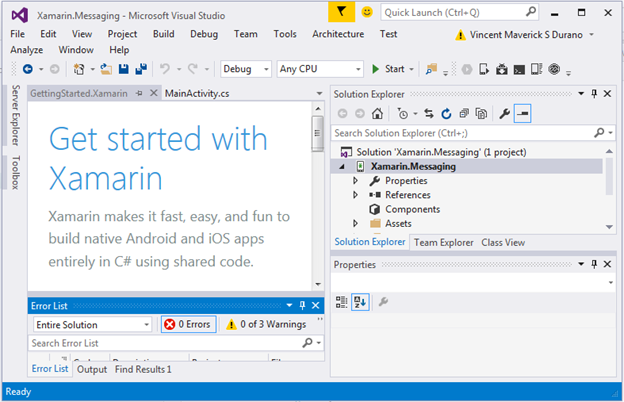 Xamarin have their own dedicated support site. So when you encounter any problem during your development, you can easily post your query to their dedicated forums. The images we’ve added will be used as the background for the Buttons and the other is for the question indicator. 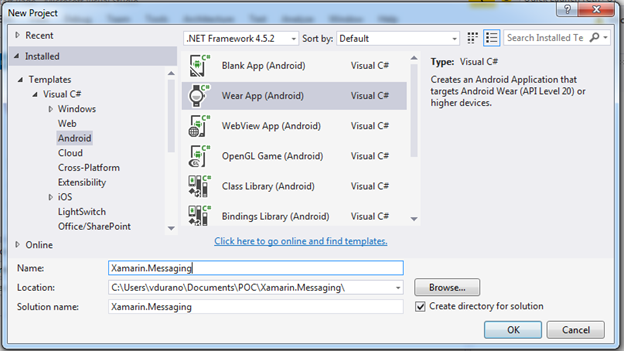 The "Messaging" class houses some properties and methods that will be used in the application. The main idea here is to use Queue<T> for storing the list of messages from the data source so we can easily pop-out the message based on the sequence of data from the queue. The Add() method basically adds new message to the queue. The Update() method removes an existing message from the Message queue object and add a new message to the AnsweredMessages list object. GetMessages() method gets all messages that are available for a particular user. GetMessagesByMemberID() is a method where we set some dummy data to test our survey feature. In real scenarios, you may need to get the data from your database. The class above is a partial class that implements the logic and functionality for our survey feature. It is where we initialized the controls and wired some event handlers for Buttons. It also contains some methods to do certain actions based on user interaction. For example the ToggleButtons() will show or hide a specific Button based on the question presented to the user. The rest of the methods are very much self-explanatory as the method name suggest. After all questions have been shown it will then show a “Thank You” message and return to the home view. Thanks for reading and I hope someone finds this article useful.